Five years ago, shortly after we broke ground for the Peaceful Animal Adoption Shelter in Vinita, I began an intensive study on how we were going to make it “work”. We opened on April 18th, 2015 and quickly figured out we couldn’t make a traditional shelter operation work in northeast Oklahoma. (Honestly, any rural community that has too many homeless dogs and cats). Long hours studying options, talking with people and scouring the internet led to who we are today. And none of this would have been possible without the support of board members who trusted me to find a solution. Here’s my two cents for what I’ve learned - - on the job - - absolutely on the job. 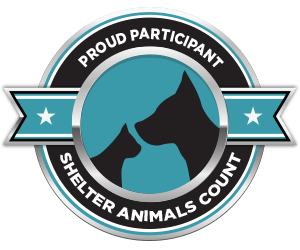 The first two steps for rural Oklahoma shelters (municipal or non-profit) are: #1 – set up a regular out-of-state transfer for your dogs (sometimes cats). #2 – work with your local veterinarians and develop a program for income qualified pet owners. They pay $10.00 to the veterinarian to have their pet “fixed” and the veterinarian bills the organization for a negotiated balance. Transfer out of states requires significant funding – but it is essential to stopping the flood of unwanted dogs and cats. Spay/Neuter - - Fixit - - Snip programs are the key to significantly reduce the over population. When I talk with a municipality or non-profit rescue who wants to build a bigger facility, I suggest they invest the money in out-of-state transfer and massive spay/neuter programs. Building a bigger facility translates to more homeless pets in a facility – but no new market (adoption) option for them locally. Food, medicine, basic animal care costs increase – but adoptions do not. Rescue is truly a business - - supply and demand. Oklahoma has the supply - - other states have the demand. I know this two-pronged approach words for rural communities - - we have the numbers to back it up. Before you build - - please look at a solution to the over population challenge. A bigger building is not a solution.